All you need to do is find the special edition car for sale by Mr E Bunny. But don’t worry, we’re making it pretty easy for you to find with daily clues on our Exchange and Mart and s1cars Facebook pages. But be quick, you only have until Easter Monday to find the car. 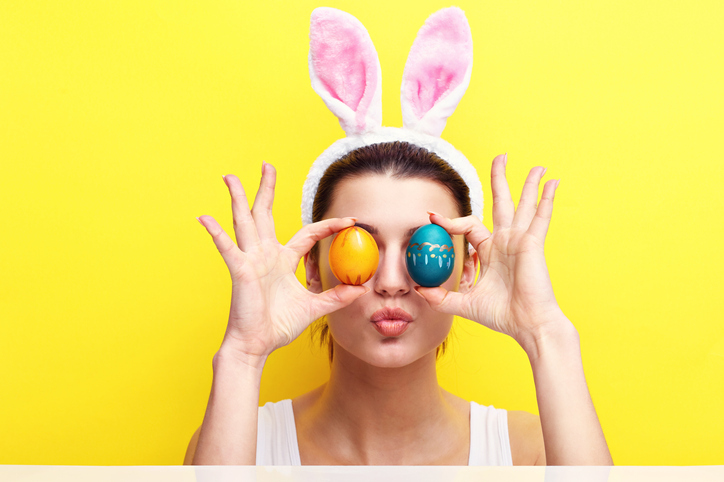 Author Lynn ClarkPosted on April 3, 2019 April 16, 2019 Leave a comment on Win an Easter treat with Exchange and Mart and s1cars! The SMMT have stated that they want to work closely with the government to make sure that the “interests of [the] sector, jobs and investment are safeguarded and future competitiveness of this industry is secured.” But with turmoil at the very heart of Westminster, that is easier said than done. Perhaps the issue of most concern is the free-flow of goods across the border. As part of the EU, this was not an issue for the UK. Under a Brexit scenario however, this will change. Costs in future tariffs alongside the need to strike new deals can be seen as a negative issue. The counter argument is the opportunities that world-wide, unrestricted trading will give to the industry. Another concern put forward is potential problems with the ‘just-in-time’ manufacturing process. Having to cope with making storage and warehouse provision, together with increases in transport times across restricted borders is a negative. But having to adapt to new working practices will create new jobs and improve prospects in local economies. Yes, change can be good. Car Prices on the Rise? The most obvious concern for the British motorist with Brexit looming is – will it cost more to buy a car? With this is mind, Carwow have created an online tool which aims to predict the prices of cars after Brexit. Using a collection of data sources, it predicts that customers’ fear’s may be spot on with the prices of Honda, Hyundai and Fiat set to increase between £2500 and £3000, with higher end makes such as BMW and Audi increasing over £8,000. Although, some makes didn’t fare too badly with the average price of a new Ford increasing by £727. Could Brexit be blamed solely for these price increases or can demand in new technologies contribute as well? One factor that the SMMT has highlighted as a key issue is the “future influence on regulations affecting the UK automotive industry.” This is a tricky subject, one that is not helped by the seeming paralysis in the Parliamentary decision makers. This does hold to an assumption that the current situation is the best, if not the only, way to go forward. Brexiteers would argue – quite strongly, that change is the better scenario. That the UK needs to leave the EU and strike out on its own, trading with a world that is flowing with milk and honey. 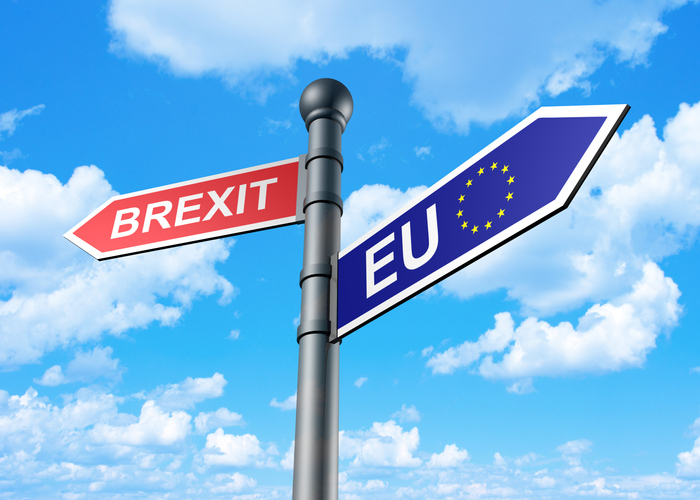 Yet it’s true to say, that the current uncertainty could lead to a second referendum, or an election or another hung parliament with ultimately, the UK remaining in the EU. And, what will people make of that? Hindsight will tell whether this is to be the best of times or the worst of times. The thing that will best suit everyone, is for a decision to be made so that we can move on. There shouldn’t be a need to fear change, if it is handled correctly. Author Lynn ClarkPosted on March 27, 2019 Leave a comment on Deal or no deal? What does Brexit mean for the UK car industry? It’s not like a school test, you can’t cheat your way through, but it also doesn’t require any last minute cramming the night before. Nevertheless, if you want to prepare yourself, here’s our guide to everything you need to know about an MOT. An MOT is a legal requirement in which your car is tested to check that it meets road safety and environmental standards. It should be carried out by a qualified MOT tester at an MOT testing centre. When do I need to get an MOT? Your car will be due its MOT either on the third anniversary of its registration or the anniversary of its last MOT if it’s over 3 years old. 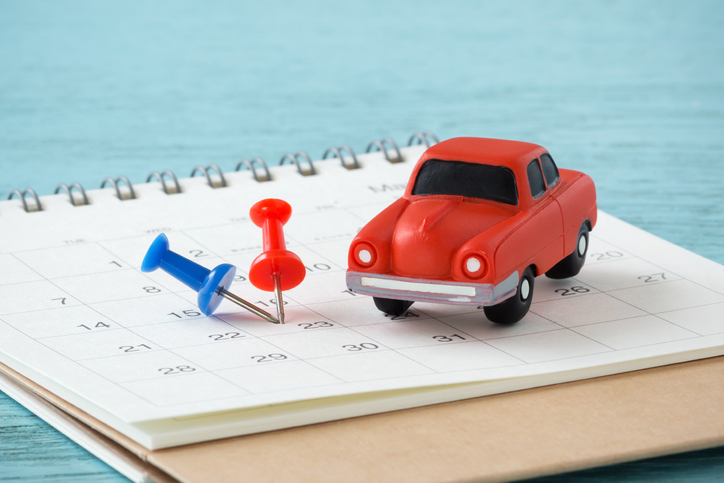 You don’t have to wait until your due date to have the MOT carried out, you can have your MOT carried out up to a month (minus a day) early and still keep the same renewal date. But don’t leave it too late. If you’re caught driving without an MOT you could be prosecuted if caught and fined up to £1,000. Only an approved MOT test centre can carry out your MOT, so look out for the blue sign with 3 white triangles. Important parts of your vehicle will be tested to ensure that they meet legal requirements, such as body, fuel system, exhaust, seatbelts, seats, mirrors, wipers, doors, brakes, tyres, wheels and even your registration plate! The test doesn’t cover the condition of the engine, clutch or gearbox. Remember this isn’t the same as having your annual service carried out so don’t forget to arrange that when needed. Prices vary depending on the vehicle, but the maximum cost for a car with up to 8 passenger seats is £54.85. You’ll be notified whether your vehicle has passed or failed as soon as the test has been carried out. If your vehicle has passed, you’ll be given a new MOT certificate and it’ll be recorded in the MOT database. You may also be given a list of ‘minor’ or ‘advisory’ things to monitor or fix over time but haven’t been deemed serious enough to fail the vehicle. But these should be carefully watched and actioned when possible. If your vehicle has failed, this means there are more serious problems that mean your vehicle is not road safe. You’ll be given a ‘refusal of an MOT test certificate’ and the failure will be recorded on the MOT database. The repair centre may then give you a cost for having these items fixed and then retested. You can take your vehicle away if your current MOT certificate is still valid and no dangerous problems were listed. But if you do choose to leave without getting the problems seen to, there is a list of minimum requirements your car must meet before you can drive away. The aim is to take care of your car and it’ll take care of you, and hopefully last a long time. Over that time, we grow close to our cars, giving them names, makeovers and even talking to them. But when it comes to changing your car, how do you know when it’s time? That noise has been bugging you for a while now and no matter how many times you take it to the garage for a fix, it just isn’t getting better. As much as you’ve cared for your car over the years and love even its rusty bits, if it’s becoming costly or unsafe to drive then maybe it’s time to say goodbye. 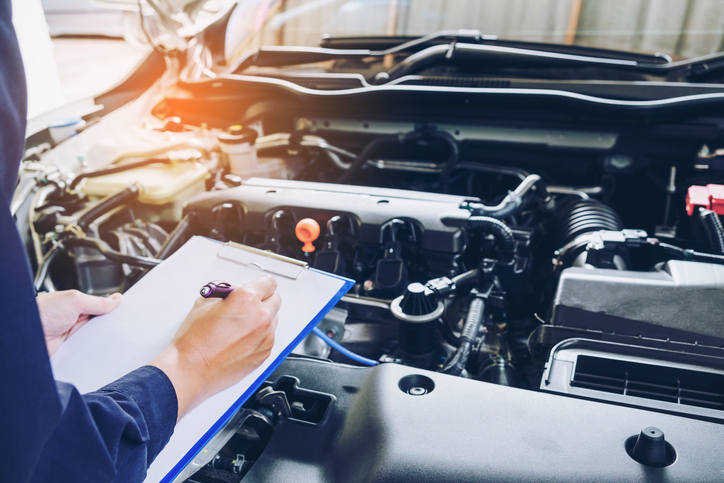 Older cars do need a lot more TLC than newer ones but if you’re not prepared for the cost involved in the upkeep then it might be time to upgrade to something a bit friendlier on your bank balance. Did you ignore that rattling sound a bit too long? Good news: the rattling has stopped, bad news: the car won’t start. If your car is past repair and magic will not bring it back to life, then it’s definitely time to go car shopping. Although your old car might not be worth much to you, it’s worth checking if you can sell it for parts or even bag yourself a cheeky trade-in, you never know – one man’s trash is another man’s treasure. This could mean both literally and figuratively. Maybe you bought a little run-around as your first car to get over all those first-time nerves, bumps and scratches and now you’re ready for something a bit more grown up. Or maybe you need a bit more space – changing from a Mini to a Minivan? Throughout your time as a driver, your car will grow with you and adapt to your ever-changing life. Whether that’s treating yourself to that souped up turbo engine or looking for some extra boot space to fit the pram. Purchasing a car, no matter what the price, is a big financial commitment and often depends on what our other outgoings are. So normally when choosing your car depends on what your budget is at the time. So, when you get a little free cash, maybe your outgoings are coming down or you bagged that sought-after promotion then it’s only natural to think – ‘is it time for an upgrade?’. But remember, always try to live within your means and don’t put pressure on your finances. There are so many great deals available so getting that dream car can be a little bit closer without regretting it a few months down the line. As many people are looking to increase the size of their car to fit the family, there’s just as many that don’t need the boot size anymore and are opting for something a little smaller. Maybe all the kids are grown up and have their own cars and you’re looking for a convertible to enjoy the beautiful summer weather? Sometimes our car decision is based on our practical needs and not down to the joy of driving but it’s great when you find the car that does both. If a new car is calling you then make sure you check out the thousands of used car deals we have available from dealers throughout the UK. Author Lynn ClarkPosted on March 1, 2019 Leave a comment on When is it time to change your car? Audi’s range continues to expand. The latest generation A6 saloon and Avant models claim to take autonomous driving to the next level. Executives looking for an extra dash of style meanwhile, are being targeted by the new second generation A7 Sportback that’s a smarter, more unique option. There’s an all-new A1 Sportback model too, a revised version of the TT sportscar and a new second-generation version of the Q3 compact SUV. 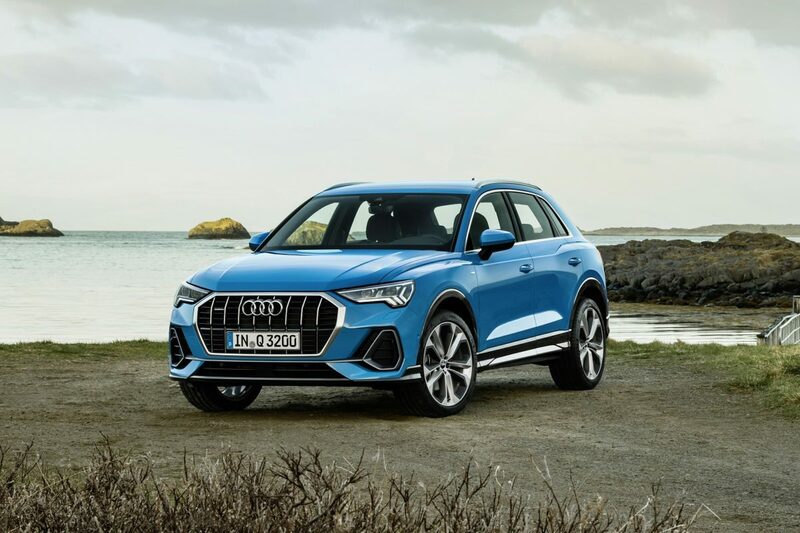 ONE TO WATCH: The new Q3 is now smarter and more efficient, these being attributes it’ll need if it’s to make headway in this increasingly crowded segment. 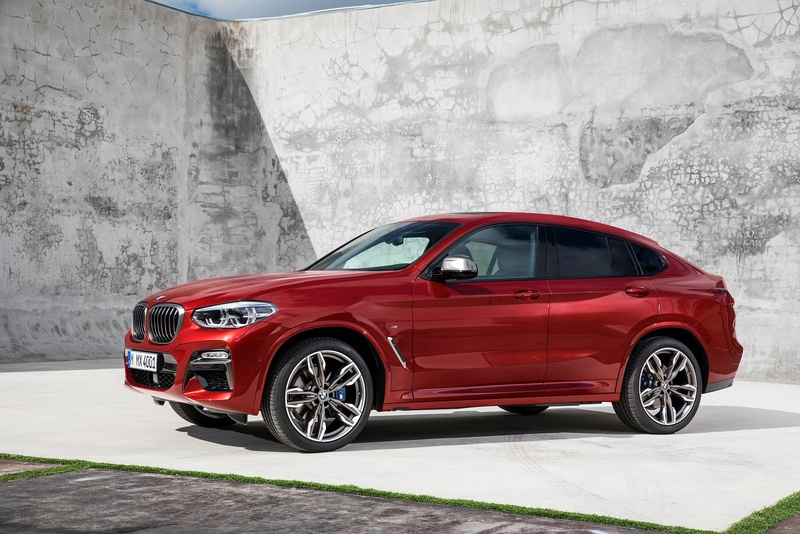 The key news for BMW dealers in recent months has been the launch of a second-generation version of the company’s mid-sized X4 SUV Coupe. There’s also a fresh lifestyle-orientated option for Executive segment buyers in the form of the new 6 Series Gran Turismo model. In other news, the company has revised its i3 electric range and added a sporty i3s variant. There’s also a new M5 high performance sports saloon, a ‘Competition’ version of the M2 coupe and a roadster version of the top i8 sportscar. ONE TO WATCH: The X4 is a far more competitive mid-sized premium-badged SUV-Coupe than its predecessor. 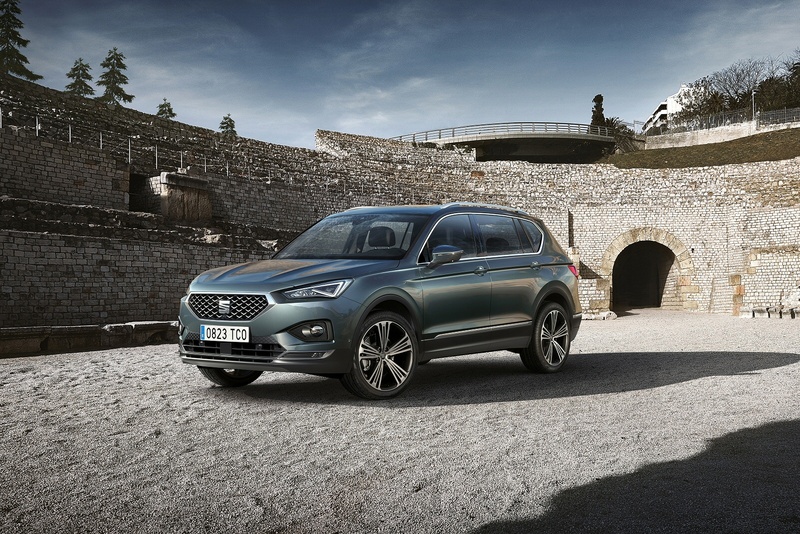 SEAT’s most important recent arrival in the brand’s mid-sized 7-seat SUV segment is the Tarraco. You get sharp styling, plenty of interior space and, the Iberian maker hopes, a dash of Spanish flair. In other news, the company has introduced a super-hot hatch model, the Leon Cupra R – now sold out. SEAT also has plans in the future to launch ‘Cupra’ as a separate sub-brand for its high-performance models the first being the Cupra Ateca. ONE TO WATCH: SEAT’s Tarraco aims to shake up the mid-sized 7-seat SUV market. The big news is the introduction of a heavily revised version of the company’s Fabia supermini, but Skoda now finds SUVs more profitable. Earlier this year, they launched the Qashqai-class mid-sized Karoq to sell just beneath the 7-seat Kodiaq and the launch of the Skoda Kamiq combines the agility and handling of a compact car with the traditional advantages of an SUV. The rest of Skoda’s line-up has been significantly revised in recent times. The Citigo citycar has undergone a minor update, plus the Rapid models have also been given a facelift and gained a new 1.0 TSI engine. That unit also features in the lightly revised version of the company’s Octavia family hatch, which features a potent vRS 245 flagship variant. The launch of the Skoda Kamiq combines the agility and handling of a compact car with the traditional advantages of an SUV. 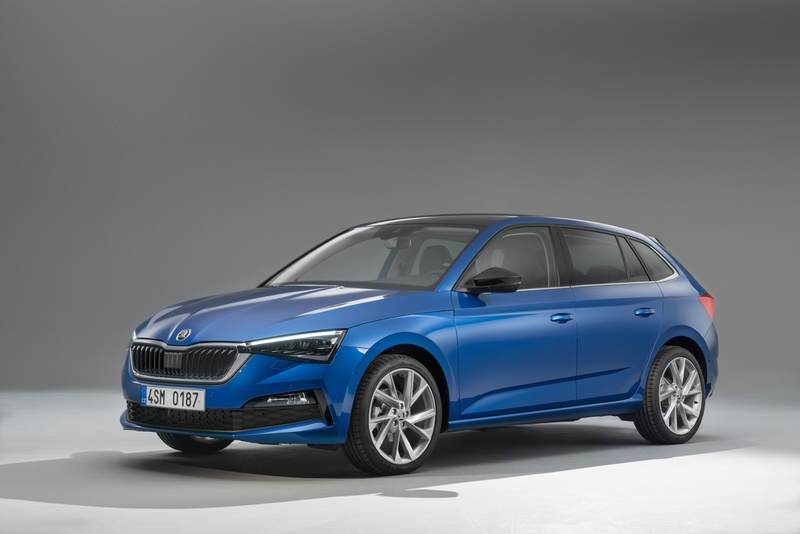 ONE TO WATCH: Skoda has a strong contender in the hatchback segments, in the shape of its new Scala hatch. 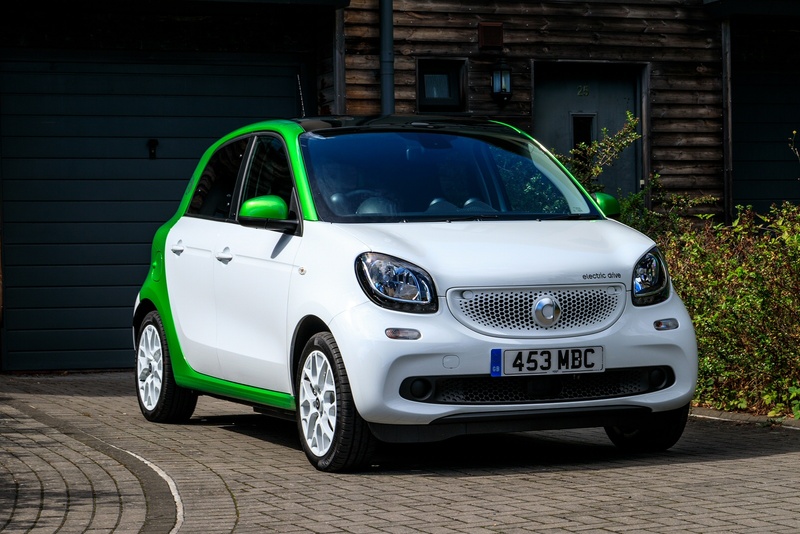 The fortwo and forfour citycar models are both now available in full-battery-powered ‘EQ’ form. Power comes from a 60kW (81bhp) electric motor mated to a one-speed auto transmission. In other smart news, the standard fortwo and forfour ranges have a new, more affordable ‘pure’ entry trim level. ONE TO WATCH: smart fortwo EQ is a good bet for city driving in eco style. If brand-new isn’t your thing and you’re looking for a great deal on a used or delivery mileage car, then check out our thousands of great deals, from local trusted dealers throughout the UK. We’ve also got a huge range of new car reviews and used car guides to help with your car research. The first thing to remember is that not all bodyshops are the same. Anyone can patch your car up with a hammer and a touch of filler, but in the long run there’s little doubt that going this route will cost you more than you save. Today’s cars tend to need more sophisticated equipment to get them back to pristine condition, particularly if the accident damage has been substantial. So, it’s important to find the right bodyshop, which might be a specialist repair centre for your make and model. When it comes to getting a quote for your repair work, ask the workshop what kind of tooling they have and check that their staff are properly trained to deal with your car. Maybe they are associated with trade or motoring organisations? Secondly, make sure that you get a number of quotes before deciding. Find out if they work regularly for any of the well-known franchised dealerships. Finally, it’s worth checking out any extra customer service provided. If you don’t have it covered in your insurance policy already, is there any possibility of a loan car while your vehicle is off the road? Will the workshop offer a free collection and delivery service? A little time on the phone could save you a lot of money, plus it could be the deciding factor between two workshops! Of course, accidents aren’t the only reason for a visit to the bodyshop. Older cars in particular will suffer the effects of weather and show up wear and tear more easily. Without preventive maintenance, your bodywork may well end up in a sorry state. The key to keeping your older vehicle running well for years to come is to keep it well maintained. Look after your car and it’ll look after you. Remember it’s not all about your car looking good, it’s about keeping it safe and roadworthy too. If possible, keep your car in a garage or under cover. This is important not only during bad weather, but in good weather too as cars with older paint work can fade quicker during prolonged exposure to sunlight. Ask your bodywork centre for any paint treatments that will help keep your car shinier for longer if you don’t have the luxury of a garage to keep it safe in. Wash beneath the bodywork and around the wheel arches to remove salt. Clean and polish the paintwork with a good quality polish and, for extra protection, add a coat of gloss protectant. Resist the temptation to cut back the paint, however bad it looks modern paints do not need aggressive treatment. Treat all exterior plastics and rubber with a suitable dressing – you may find that some plastic surfaces have faded. Wash regularly with a genuine car shampoo to keep the car in top shape. Don’t use household dish washing liquid, as this is designed to cut through grease and is too aggressive for car paintwork. Choosing your first car can be a daunting task, especially with the amount of choice out there. How many doors? What litre engine? What size? What colour? Our tip is to take a step back and focus on the things you need from your first car. We can guarantee that the biggest deciding factor is budget so start by working out what you can afford. Remember to take into account ALL of your other outgoings. 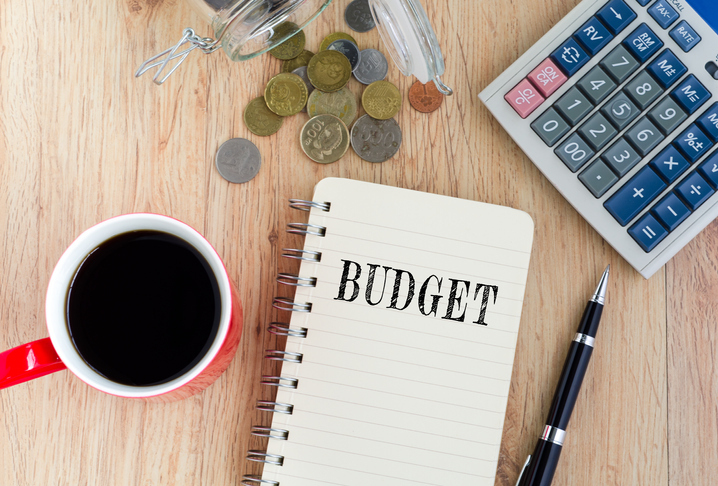 By narrowing down your budget, you’ll find that this starts to narrow down your choices. Think of what you need the car for. Is it just social use, out and about at the weekends? Or is it for work, will you be driving long distances? This could determine what size of engine you need, how much you can afford to pay in road tax or even if you prefer petrol, diesel or electric? Remember, it’s often wise, for your first car, to stick to one that is practical – there will be plenty of time later for that turbo roadster you’ve had your eye on! 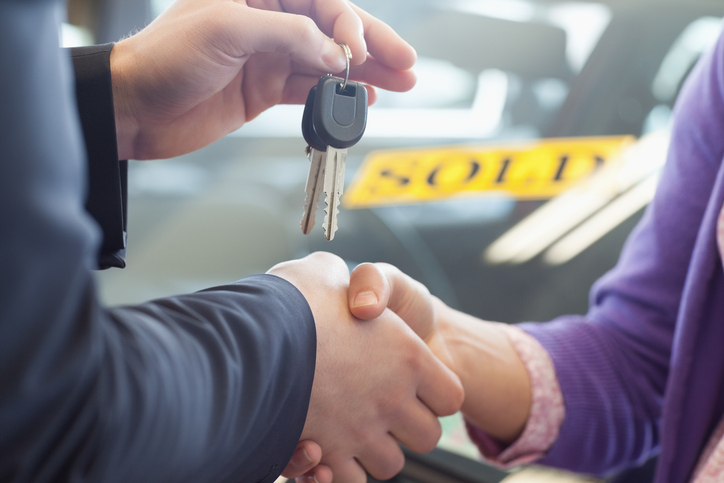 While most of us had to settle for an old banger for our first car, with today’s finance deals, buying a car on finance is becoming more accessible for young people. But although it seems simple, it’s important to understand the various levels of finance before you sign on the dotted line. Deals vary from leasing (PCP and PCH), personal loans to credit cards, so our advice is to do as much research as possible. Look at the length of the finance term, how much you can afford to pay per month, what the risks are if you fail to pay and if there are any restrictions? For car finance explained in full, click here. When it comes to finding the right place to buy to your first car, there are various options. If you’re opting for a brand-new car then a franchised dealer is the best place to buy that straight-from-the-factory model. If you’re looking for a used car, or delivery mileage, then visit your local dealer. Fancy checking out all the dealers in your area? Then Exchange and Mart and s1cars are the place to find your first car. We have thousands of used cars from local, trusted dealers throughout the UK, with prices to suit your budget. Plus, we’re open 24/7. This is a biggie and can often be neglected. 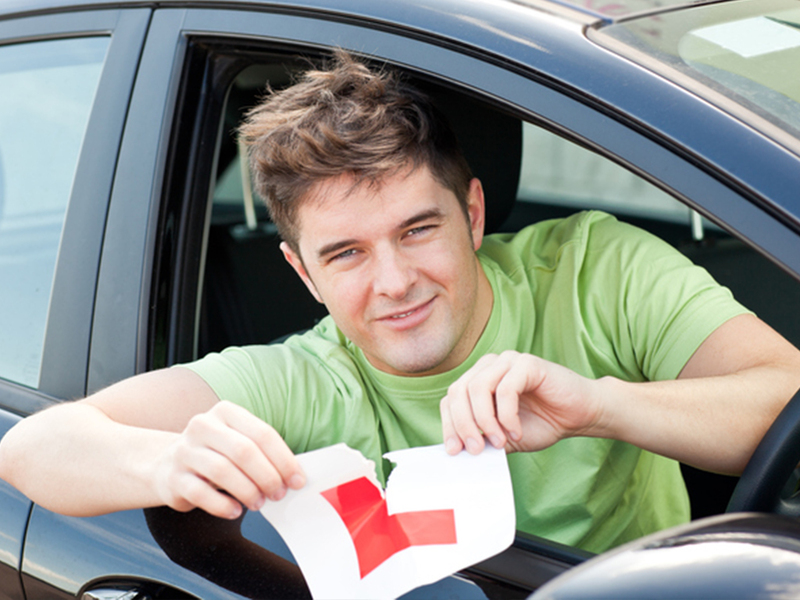 If you’re a young driver you may find it can be expensive initially, but there are things you can do to help lower the price. Try piggy-backing onto a parent’s policy as a named driver, although this comes with its own risks like driving up the existing policy or affecting your parent’s no claims bonus. Other insurers offer discount for safer drivers by fitting trackers to your car, monitoring speed and driving techniques. Although you may need to pay the higher price for a few years, it’s worth it to be confident that you have the right cover and protection should you need it. Learn to haggle – you might bag an even bigger bargain. Always take the car for a test drive.